An Exhibition on the theme of "The Bible" will be held in the seaside town of Houlgate, depart�ment of Calvados, from Thursday, August 14th through to Sunday, August 31st. 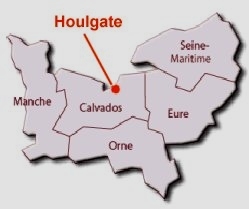 The exhibition will take place in le Temple Protestant, home of the Eglise Evang�lique de Houlgate (Houlgate Evangelical Church) which is located right on the edge of the beach in the popular holiday resort of Houlgate, which nestles on the coast a few miles to the east of the cross-channel ferry port of Ouistr�ham (Caen) and the D-Day landing beaches. 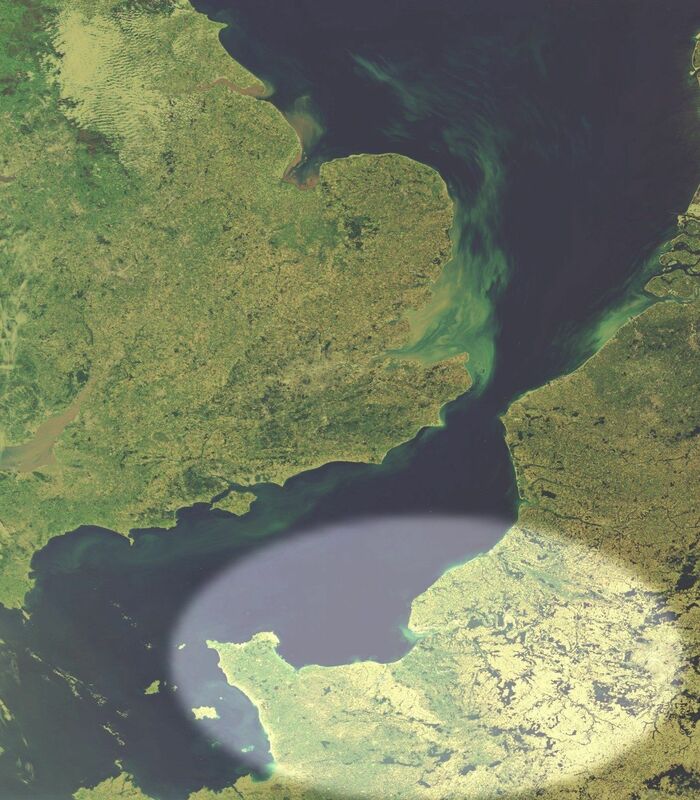 It is just to the south of le Havre, the River Seine, Honfleur and Deauville. The main exhibition panels will be supplied by the French Christian organisation France Pour Christ, and supplemented with various other materials. In addition, there will be Bibles, Gospels, Books, leaflets etc. that will help those who want to find out more about the Bible and its message. Some of these items will be available for visitors to buy. Others will be there to give away - leaflets and individual Gospels for example. We will begin setting up the exhibition in the church at Houlgate on Monday, August 11th, ready to open the doors to the public on Thursday, August 14th. Friday, August 15th is a major French holiday, so we anticipate that the long weekend of the 15th/16th/17th will be a very busy time for the exhibition. The doors will stay open until Sunday, August 31st. We will start dismantling the exhibition on Monday, September 1st. 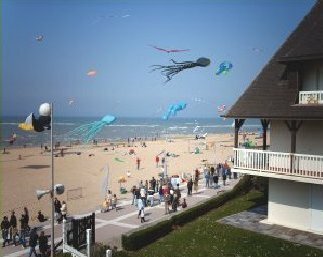 Houlgate is a very popular and busy holiday centre during the summer. Visitors not only from France but from all round Europe including the UK will be there, and from countries much further away, such as the USA. Visitors will therefore not just be francophone. For many, English will either be their mother-tongue or their second language. So the exhibition will be targeted not only at a francophone audience, but also at an anglophone one. Praying for the exhibition, for the people helping to run it, for the visitors who come to see it, that they might be touched by the Bible's message, and discover the one to whom the Bible is pointing. Coming over to Normandy to be personally involved for some or all of the time. Helping with the costs associated with putting on the exhibition and providing all the materials needed. Who do we need to come and help? People who can speak French or English or, better still, both! The ability to speak in another language, such as Dutch, German etc. could also be useful. People who can talk about their own faith in the Lord Jesus Christ. People who can talk about the Bible. People who can welcome visitors to the exhibition. People who can help behind the scenes with practical matters - including catering for the helpers. People who can simply be there! There will be some basic accommodation available in the flat that is a part of the church building at Houlgate. This will in effect be dormitory-style sleeping arrangements. Communal meals will be provided. A small charge to cover the cost of accommodation and food etc. will be made. Other accomodation is available in the area, but bookings will need to be made sooner rather than later. Please get in touch with us at zzz if you would like more information about the exhibition and how you can be involved in it. Further ways to get in touch with Normandy Vision can be found on the Contact Us page.